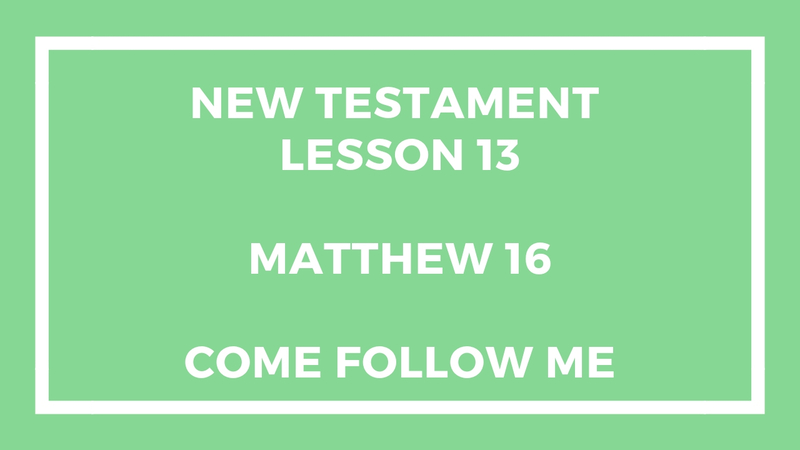 So I wanted to supplement Lesson #12 of the New Testament and add to it by providing you with some information on Matthew 16 in the Bible. I know that the sound or audio isn’t great – I don’t have a professional studio to record this information in, so I know that it is lacking; but the information should be insightful. I try to give you additional references and provide information that hopefully causes you to reflect and ponder. Let me know if you enjoyed this episode or if you hated it. Did I get something right? If you would like us to continue to produce the material to help you in your Mormon or Latter-day Saint Sunday School Class, let us know in the comment section below. I hope you find this material helpful. This entry was posted in Gospel Doctrine Helps and tagged bible studies, come follow me, gospel doctrine class, Latter-day Saint, lds, Matthew 16, mormon, New Testament, new testament lesson 13, Thou Art the Christ on March 27, 2019 by admin.